The prime minister’s anti-deflation therapy could have done without the 11 percent drop in the stock market this year. But as long as the bond market remains calm and the yen weak enough to help boost inflation expectations, Shinzo Abe can focus on reforms and leave stocks alone. 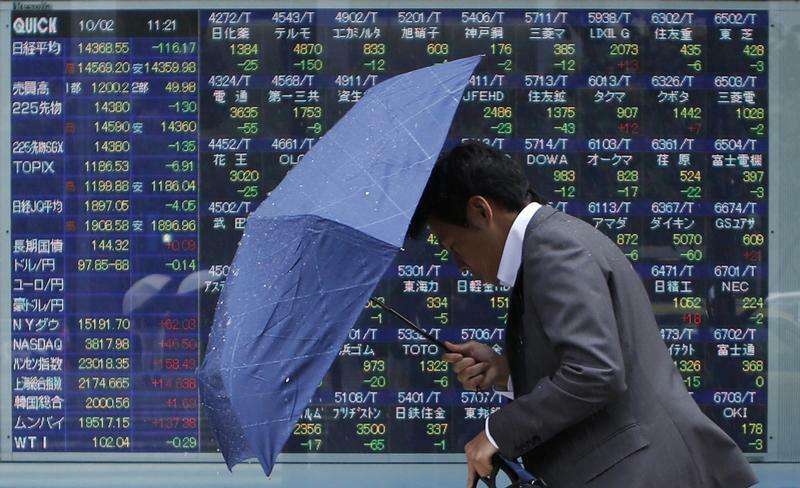 Japan’s benchmark TOPIX index rose 1.75 percent to 1,157 on the morning of Feb. 5, breaking a four-day falling streak. The index has lost 11 percent of its value since Dec. 30, making it the worst performer this year among developed-country markets. The latest drop compares with a 17 percent slide between May 22 and June 14 last year after the U.S. Federal Reserve gave initial hints that it might start curbing its quantitative easing programme. The yen strengthened to 101.45 to the U.S. dollar on the morning of Feb. 5. It has risen by 3.7 percent so far this year, while the yield on the 10-year Japanese government bond has fallen to 0.61 percent, compared with 0.74 percent at the end of 2013. The yen surged 9 percent higher between May 17 and June 14 last year.